Need a custom print lanyard for your application? 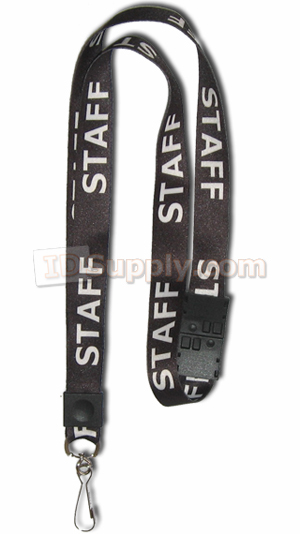 LB750-STAFF Pre-printed Staff Lanyard. Each lanyard features a breakaway joint and adjustable slider for maximum comfort. The lanyard is made of a 3/4" wide soft fabric. The print is fused directly into the lanyard through the dye-sublimation process. This helps keep the text looking great for longer. The print is shown on both sides of the lanyard to make sure the wearer can always be clearly identified. Lanyards come with a chrome plated swivel hook end fitting.